KUWAIT CITY: Top US diplomat Mike Pompeo sought Wednesday to bolster a united front against Iran during a Middle East tour that will include talks with key ally Prime Minister Benjamin Netanyahu ahead of Israeli elections. He will also push for a greater role for the Middle East Strategic Alliance, a US-sponsored Arab NATO aimed at uniting Washington’s Arab allies against Tehran. While Washington insists it is not interfering in Israeli politics, his visit is seen as a sign of support for Netanyahu, who is struggling to keep his grip on power as he faces allegations of bribery, fraud and breach of trust ahead of the April 9 polls. 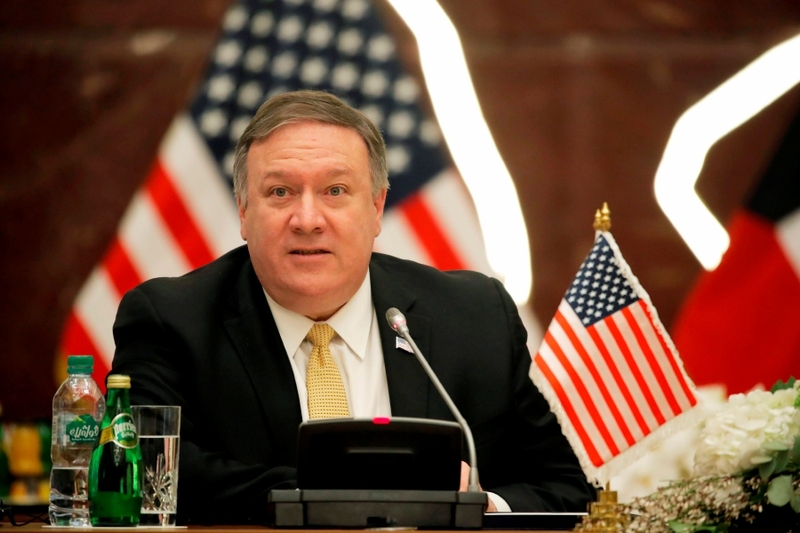 “I’m going to Israel because of the important relationship we have,” Pompeo said. President Donald Trump’s decision in December 2017 to recognise Jerusalem as the capital of Israeli delighted Netanyahu’s government. But it enraged Palestinians, who want to make the eastern, mainly Palestinian part of the city the capital of their future state. Washington has taken a series of steps deemed so “hostile” by the Palestinian Authority that it now refuses any contact with the US administration. The moves include cutting most of the US aid to the Palestinians. A shift in semantics and policy has marked the Trump term, particularly related to the Middle East. The US has ceased to refer to Syria’s Golan Heights as “Israeli-occupied” and instead calls the territory “controlled” by Israel – a change seen by some as a prelude to US recognition of Israeli sovereignty over the strategic plateau. “That language reflects the facts as we understand them,” Pompeo said. “This was a factual statement about how we observe the situation. The April 9 vote in Israel will also start the countdown for the presentation, expected before the summer, of the Israeli-Palestinian peace plan that a small White House team – strongly pro-Israeli, analysts say – has been quietly preparing under the president’s son-in-law, Jared Kushner.